JENDES - “PURE JOY” THE BALANCED LIFE OF RICHARD GORMAN- THE SERVANT OF ART. 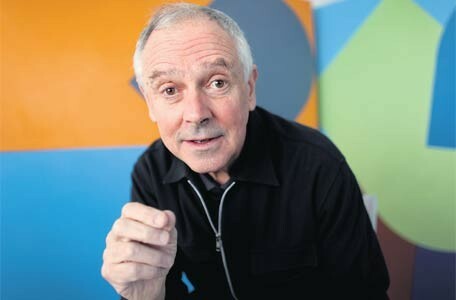 “PURE JOY” THE BALANCED LIFE OF RICHARD GORMAN- THE SERVANT OF ART. 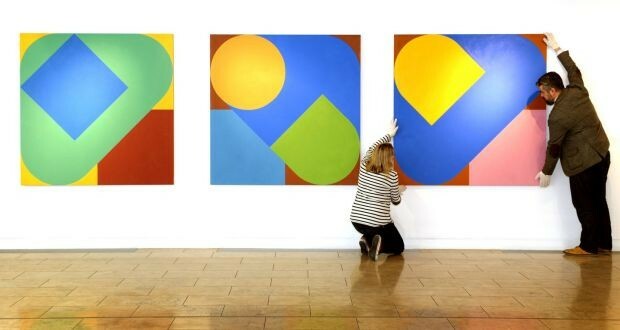 “Pure Joy”, simple happiness, the instant feeling when most people see the works of Richard Gorman for the first time. The mellow and high-pigmented colour lumps overlapping each other and seems to be wiggling and flowing, painted on the paper, yet seem so lively to the eyes. “I also realized that when you're 30, you'll be 60 in a flash. It was frightening." He is now 65. "I knew that if I wanted to be doing something I needed to get it going." It is hard to imagine that all these lively artworks are created by the hands of a gentleman already in his late sixties. Richard Gorman was born in Ireland and grew up in the suburbs of Dublin, where the artist is not a proper job, let alone a career in most people’s perspective. 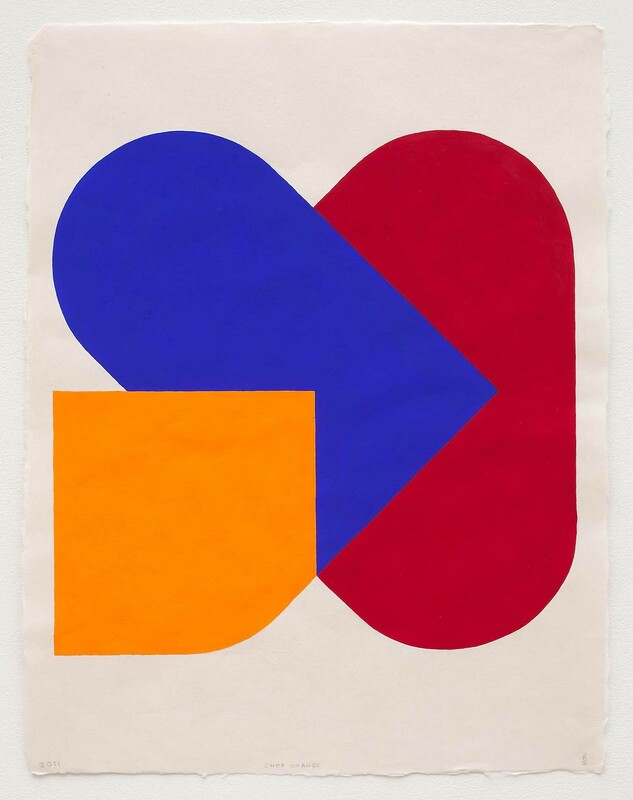 Therefore, even though Richard Gorman has loved graffiti and painting since he was a child, he obeyed his parents’ wish and majored business in the university. Richard Gorman entered the family business and became a car salesman after he graduated, and by the time he works in the car factory, he promised himself to reshuffle his life and start a completely different game when he turns 30. At the age of 31, after a series of emotional breakdowns, Richard Gorman left the company, seeking a new life. As a late-starting art worker, Richard Gorman attended art courses at the evening school in the university in his spare time. He learned the printing technology in Paris, then settled in Milan in the 1980s, where he set up himself a studio. Before his art career had yet to take off, Richard Gorman realized that this hobby has not only consumed a huge percentage of the time, but also left him not much money to enjoy the exquisite meals and other leisure such as skiing. Luckily, none of these are important to him anymore because his soul was delighted through painting, and he knew by that time that art is what he wanted to do for a lifetime. 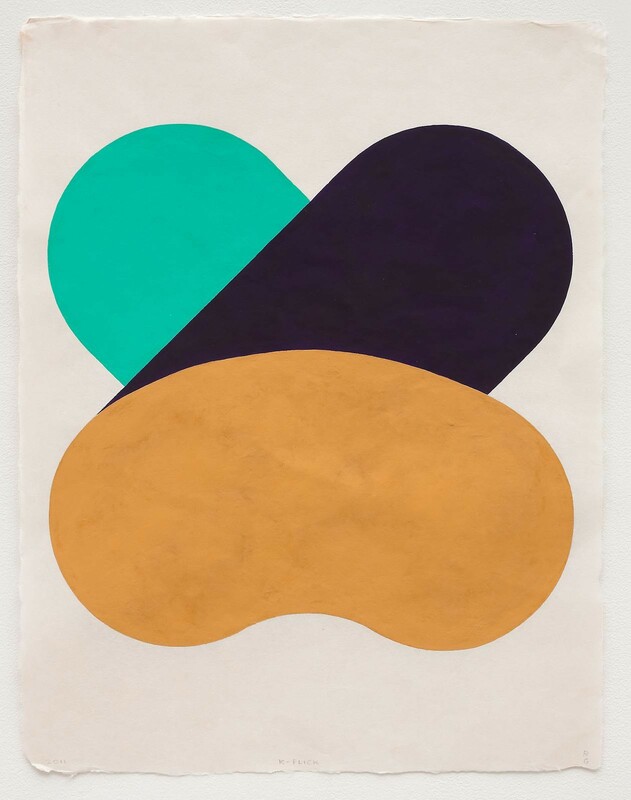 Richard Gorman is now a well-known artist who regularly has his art exhibition in Japan, France, Italy and other countries around the world, specializing in painting, printing, and sculpture. However, when facing questions about his own abstract paintings, casting a straight ball with his elegant accent is how he usually answers. Frankly, he will reply that his work is simply the appearance of the colors, and does not necessarily to find a sense in it. Even if you want to ask more, he will only say calmly that the color lumps are no more than the historical evidence of his use of time. For Richard Gorman, who has immersed in art creation for more than 30 years, filling the color blocks cautiously day after day has never been a painful errand but a ritual that makes him happy. Perhaps it is such state of mind that he always has when facing his creations, the concept “length of time” is particularly vague in the matter when doing the things he loves. 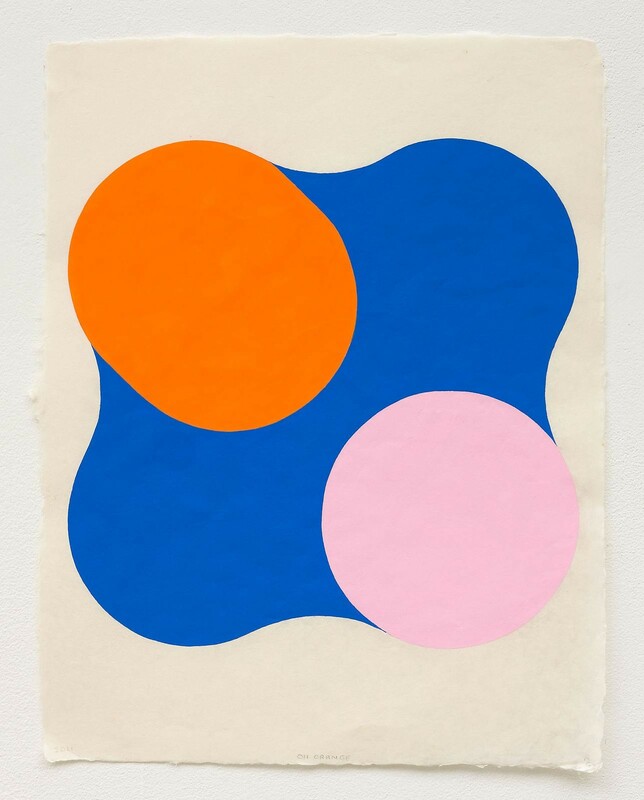 The color and line combinations that Richard Gorman selected by his subconscious selections are also infected by the artist's emotions, they dance on the papers with a young and lively melody, passing the concept of a precious pure pleasure. 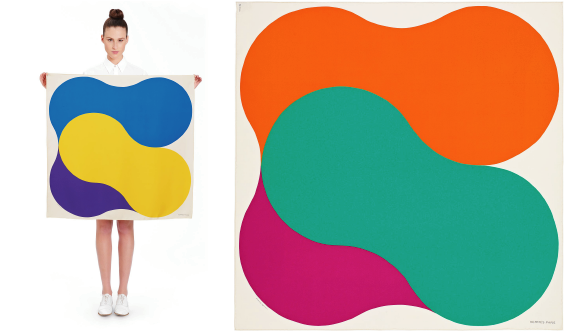 What’s more, Richard Gorman’s bold and colorful appeal caught the eye of the French fashion brand Hermés, and made himself the first Irish artist designing the patterns for the brand’s silk scarves! Hermés ' Squeeze collection of scarves designed by Richard Gorman in 2015. They come in 3 patterns, 7 colours. 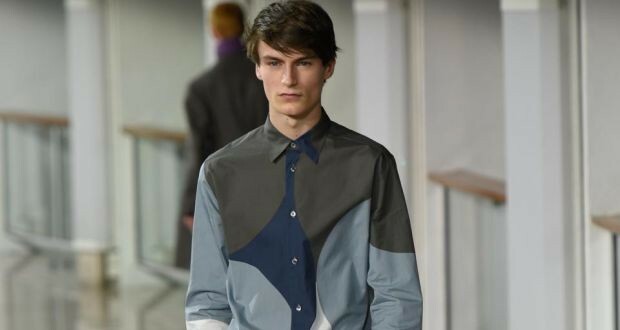 The print was later extended to the Hermés AW menswear collection. The Artistic Director Véronique Nichanian adjusted the color to a dark gray hue, giving the pattern a more versatile look. Colors and shapes are the main elements that compose Richard Hardman's work. It is simple but is not easy, just like many concepts we try to achieve in life such as toning makeup and reduced life etc. and practice the only thing that can be done to achieve. The first color is usually the easiest, and the more colour he adds, the more factors he has to take in consideration, the more difficult it gets. And gradually, he gets used to the feeling and finds a balance between the colors, lines, and shapes. Throughout the talk with Richard Gorman, we found out that it is not only the skills of painting that he has gained, but also the lifestyle that he is living as an artist. 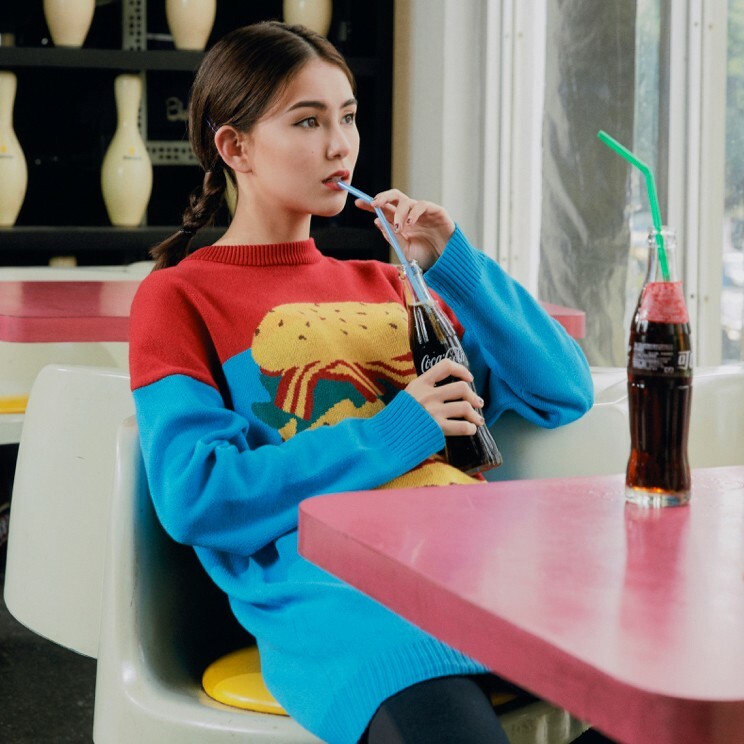 His loyalty to the colors and patterns, his regular-as-a-civil-servant daily routine, like the Tai-Chi concept in Chinese culture, maintaining the balance of his life. Not even the sudden bad news was able to make a wave in his calm mind. Richard Gorman was diagnosed with Parkinson's disease a couple of years ago, he never tried to hide the news, instead, he still goes hiking, continue painting, living his life as nothing has happened. For him, this is The process that the body experiences, and he got used to the change in his life without making a fuss or trying hard to adjust. “I want to define myself as much as I can by what I do rather than what has happened to me with this." Richard Gorman seems to be more interested in talking about his artwork than the Parkinson's disease. It started to get more inconvenient for him to run or type after being diagnosed, but the most important thing for him is that luckily he still able to hold his paint brushes. 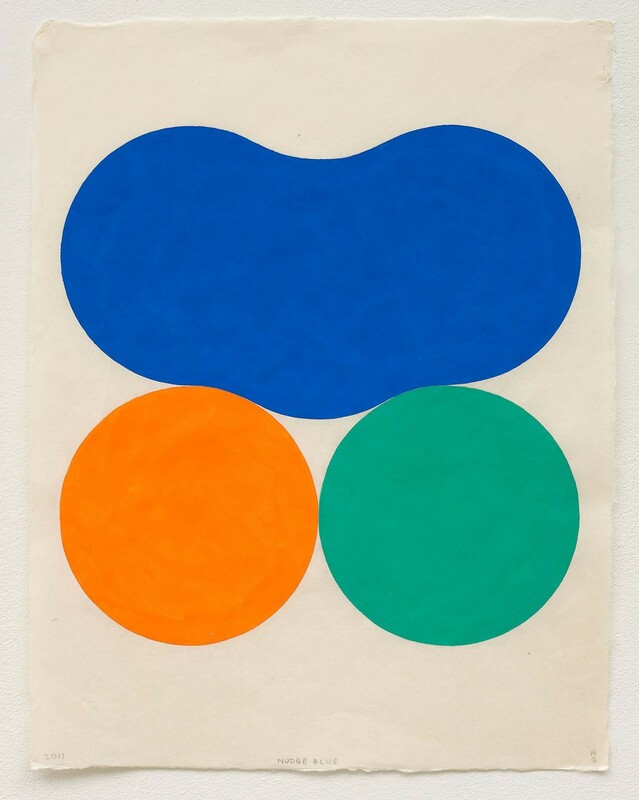 Holding the faith in creating more color lumps, Richard Gorman wants to continue on painting: "No matter which section I am at in my creating process, should always have the pure heart as when I make the first stroke, so that the works will not be over-beautified, and will always remain sincere." As the body grown old, Richard Gorman accepts the fact calmly, and finds a new balance in his life. Calm and balance, just like his paintings. *The copyright of all the pictures belongs to the original owner. If an infringement occurred, please send an email to us to correct the issue.